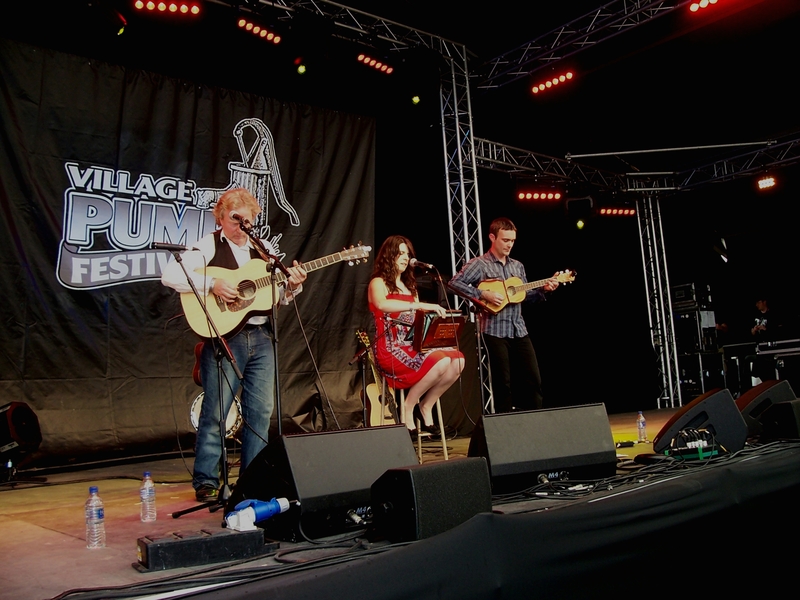 The Village Pump Folk Festival is returning on 25th – 27th July 2014. FromeFM will be at the festival recording interviews and even some of the bands LIVE to be broadcast as highlight programmes shortly after. See below for the schedule of highlights. “When we first started over at Westbury, I contacted Frome FM to see if they could give us a bit of publicity. “Frome has a great music scene of its own but Westbury is very close and I knew a lot of people in the Frome area loved the Village Pump from its days at Stowford, near Trowbridge. “The FromeFM guys asked me to go and talk about the Festival on one of their programmes and we invited them to come along to see for themselves what the new site was like and to make a programme all about last year’s event. “We’ve interviewed people like Kate Rusby, The Spooky Men’s Chorale, Karine Polwart and Keith Christmas, even Kookie the Clown – one of the entertainers from the Family Tent. We’ve also talked to festival-goers. This year’s Festival takes place at the White Horse Country Park, Westbury on 25th – 27th July and features some of the country’s best-known folk acts, many of them BBC Radio 2 Folk Award winners, such as Seth Lakeman, 3 Daft Monkeys, Eliza Carthy, Steve Knightley, Phil Beer, O’ Hooley and Tidow, The Peatbog Faeries, Martin Simpson and Phillip Henry and Hannah Martin. They will be performing together with many greats from the last 30 or 40 years, like The Blues Band – featuring former Manfred Mann singer, Paul Jones – Michael Chapman, Martin Carthy and his band Brass Monkey and newer acts such as Foreign Affairs, Gren Bartley, The Willows, The Young ‘Uns and Phil King. Other attractions include a full Family Programme, an Open Mic and Club Performers’ Tent, a Sessions tent, as well as music workshops, yoga, Tai Chi, Nia and the usual festival stalls and food outlets. 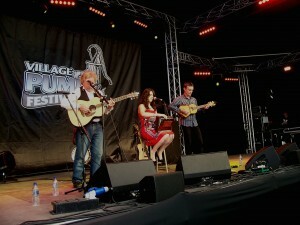 Tickets for this year are available at www.villagepumpfolkfestival.co.uk or at the gates.